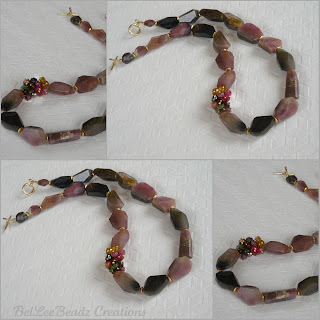 Gorgeous tourmaline irregular shape faceted nuggets and a side posy of tourmaline rondells. 24k gold vermeil headpins and spacers, 14k gold filled toggle. Approx 16" in total length.